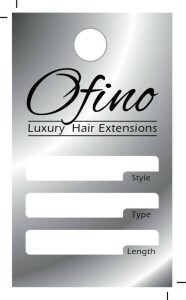 Custom hang tag, printed with shiny gold foil and round corners. 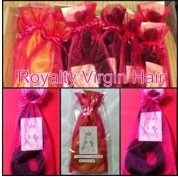 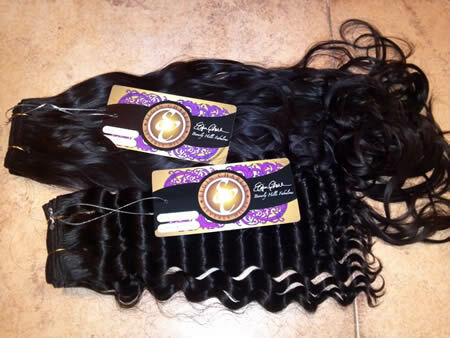 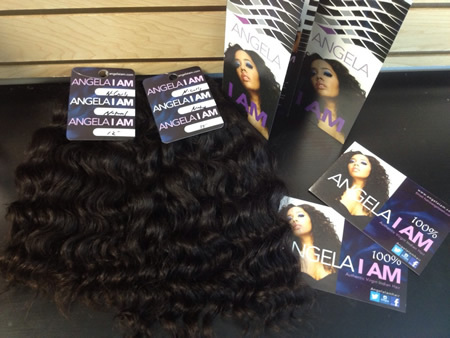 We also created a box designs for Elgin’s hair extensions line. 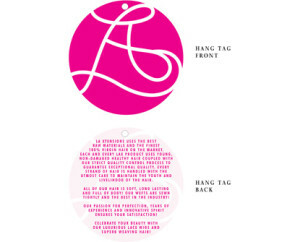 Final artwork for the Elgin Charles hang tag. 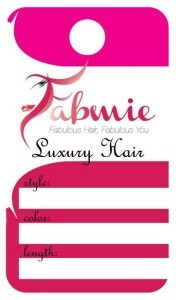 The front has space to add style and color variables. 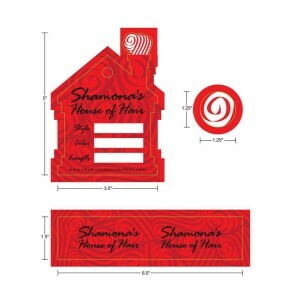 Angela Simmons artwork for the Standard 3 x 4 inch hang tag. 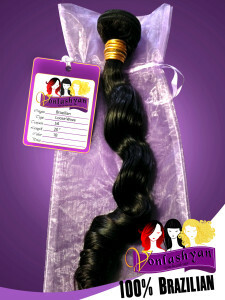 The front has space for style, color and length. 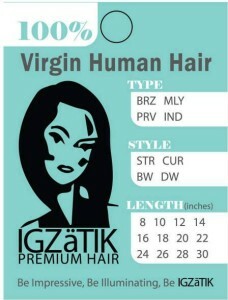 The back has care instructions. 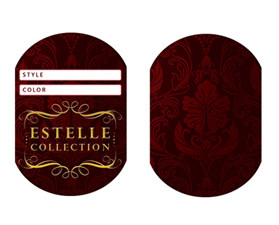 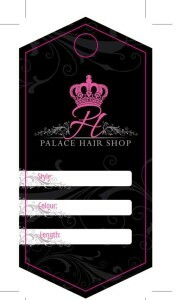 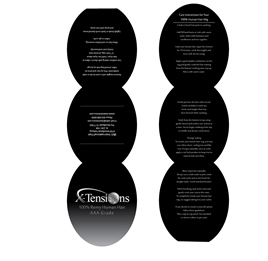 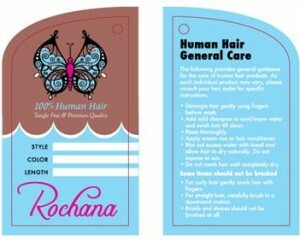 Human hair extension hang tags in oval shape. 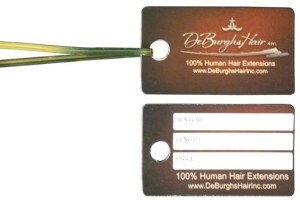 Hair Tags for human hair. 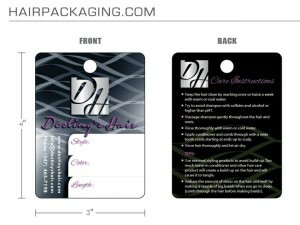 3 parts of hang tag fold into one oval shaped tag. 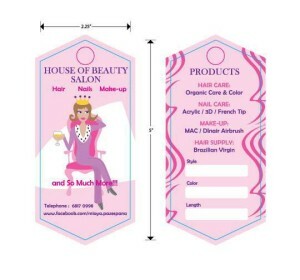 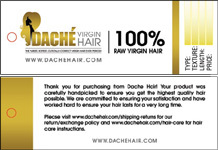 If you would like a hang tag for your hair products, contact us so we can answer any questions you may have.